ArtNaturals presents the new antifungal foot and body wash that is infused with a powerful combination of all natural oils, hydration, and healing, leaving your skin, hair, and nails, truly cleansed, fresh, and filled with natural aroma. It is ideal for athletes, gym enthusiasts, runners, sporting teens, manual labourers, or anyone with an active lifestyle. Exercise and strenuous activity can bring with it a host of unwanted bacteria and fungi, wreaking havoc on your skin, feet, and nails. The soiled socks and active wear act as a petri dish for multiple disease causing bacteria, becoming breeding grounds for such agents as fungi, microbes, and yeast. Standard body washes and soaps alone are often not effective at eliminating all these agents. Artnaturals Anti Fungal Body Wash is the solution for a natural, yet total cleansing treatment for skin and nails, plus moisturizing all in one. This delicate fusion of oils is powerful but gentle on all skin types giving you a rush of hydrating moisture, while eliminating microscopic bacteria, fungi, and yeast, leaving you irritant free. This delicate combination brings you true all natural cleansing for rapid relief as well as sustained prevention of fungal recurrence. The delicate balance of all natural infused oils gives you true cleansing while maintaining a gentle formula which is ideal for daily use. Simply add body wash to cloth, loofah, or hands and apply to entire body and feet, focusing on affected areas of itch or irritation. After gently scrubbing, you can rinse thoroughly. 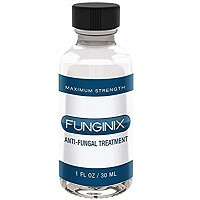 For best results, try to include Anti Fungal Body Wash in your twice daily shower or bathing routine. Fungi, bacteria, microbes and body odour will diminish with each application. Continued use aids in the prevention of infection and fungal recurrence. Wash may also be applied to hair during twice daily showering or bathing to aid in the soothing elimination of dry scalp and dandruff.